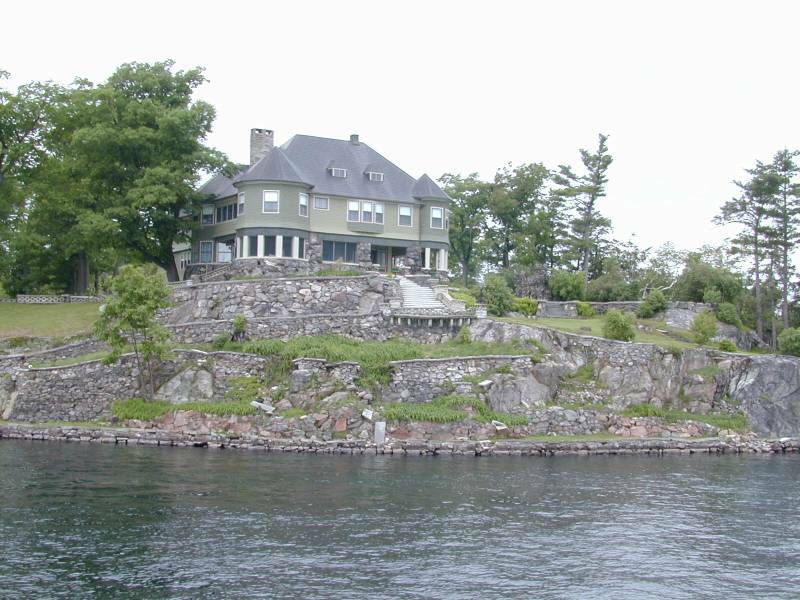 2001/5/28 - A summer home on an island as seen from the Uncle Sam Boat Tour on the St. Lawrence River. 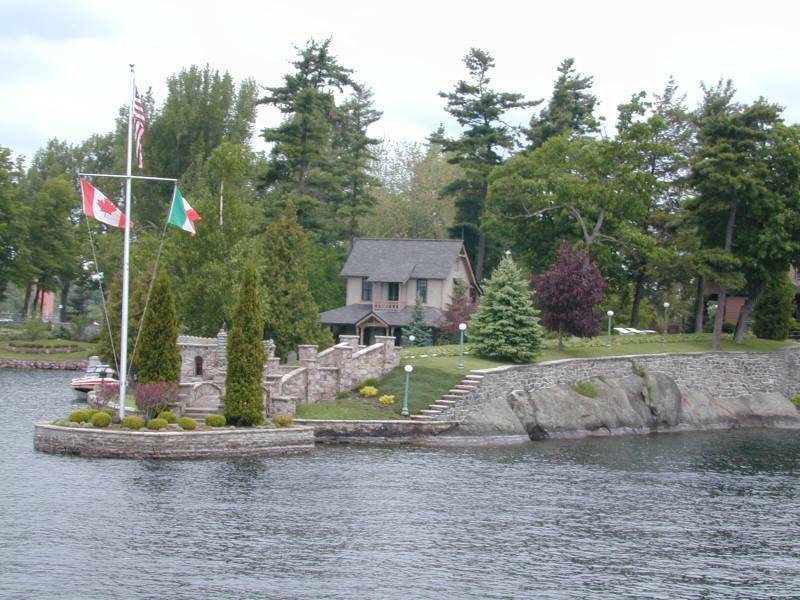 2001/5/28 - A summer home on an island flying the U.S., Canadian, and Italian flags as seen from the Uncle Sam Boat Tour on the St. Lawrence River. 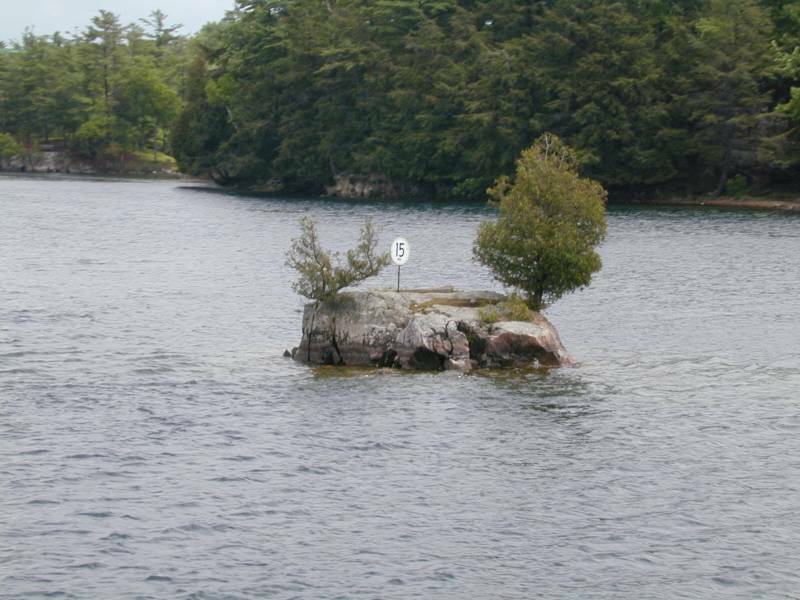 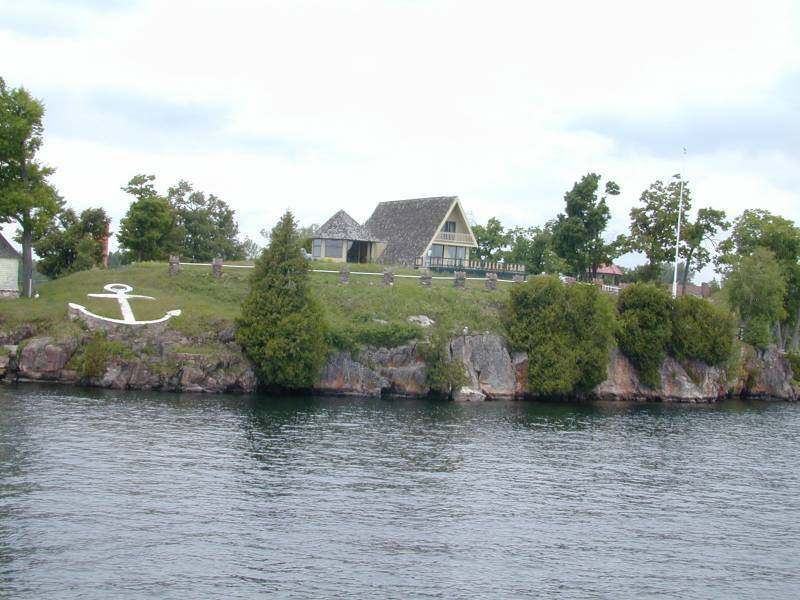 2001/5/28 - Tom Thumb Island, the smallest of the Thousand Islands as seen from the Uncle Sam Boat Tour on the St. Lawrence River. 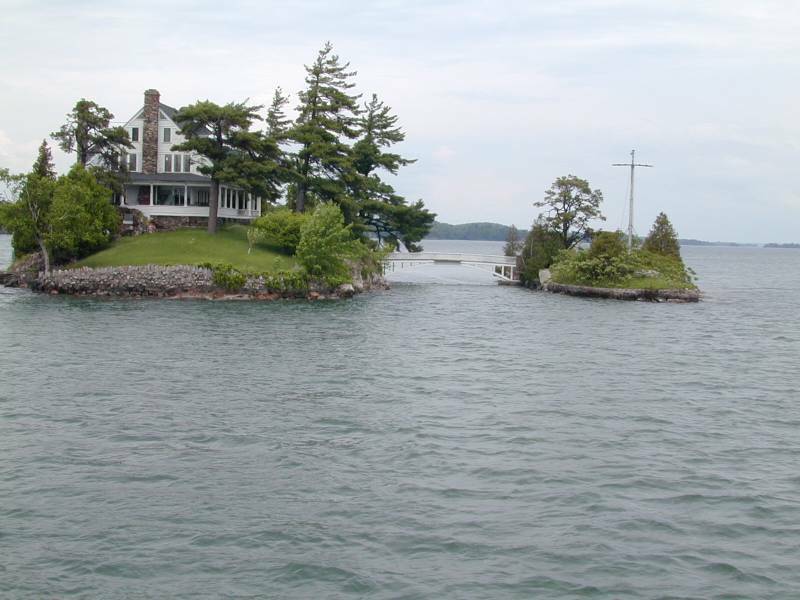 2001/5/28 - Zavickon Islands with the shortest international bridge in the world (Large island is in Canada, small one is in U.S.) as seen from the Uncle Sam Boat Tour on the St. Lawrence River. 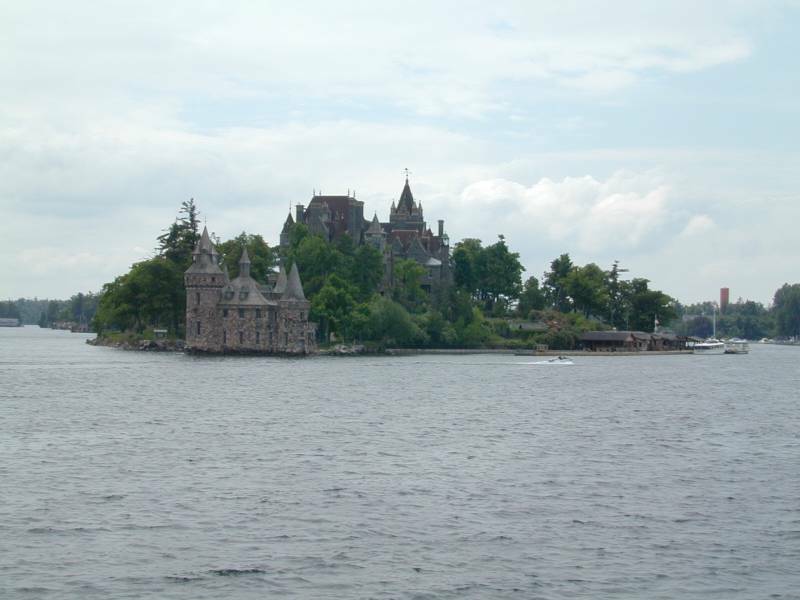 2001/5/28 - Heart Island with Boldt Castle and "The Alster Tower Playhouse" in the foreground as seen from the Uncle Sam Boat Tour on the St. Lawrence River. 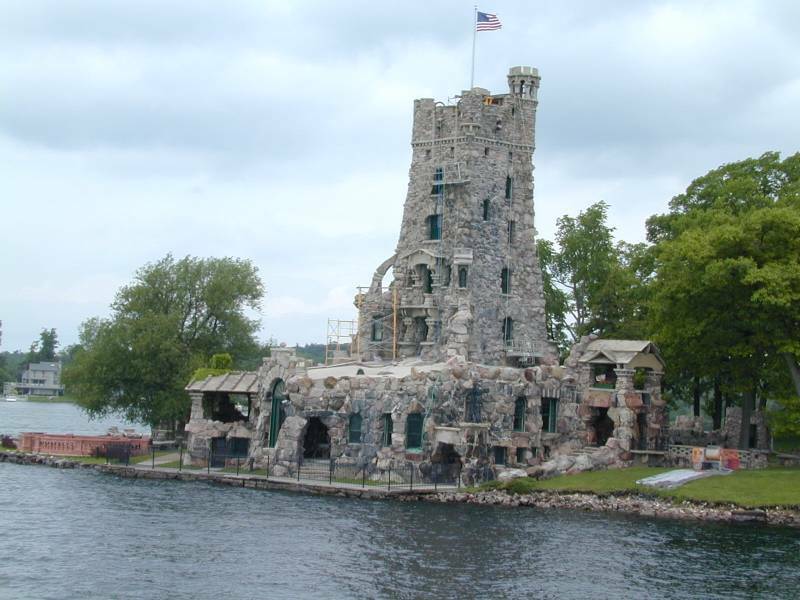 2001/5/28 - A closeup of "The Alster Tower Playhouse" on Heart Island as seen from the Uncle Sam Boat Tour on the St. Lawrence River. 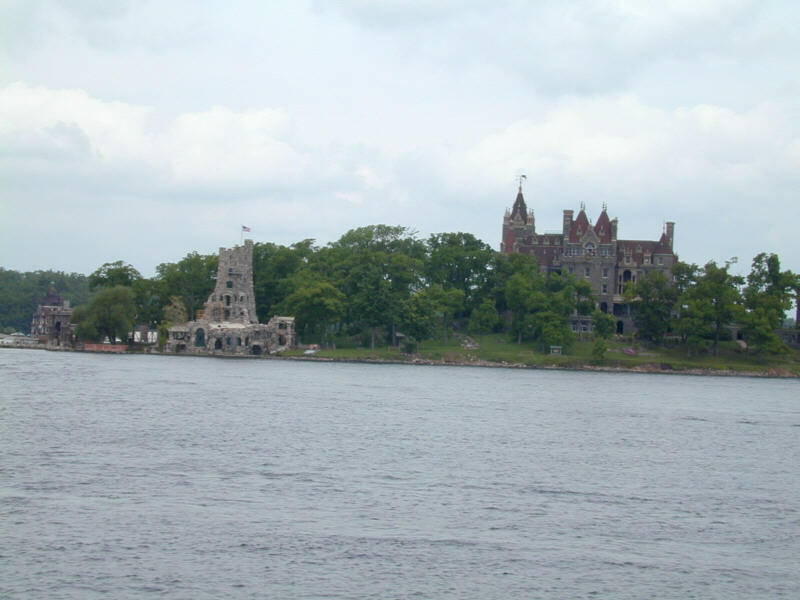 2001/5/28 - The Boldt Castle Power House and Clock Tower on the eastern end of Heart Island with Boldt Castle in the background as seen from the Uncle Sam Boat Tour on the St. Lawrence River. 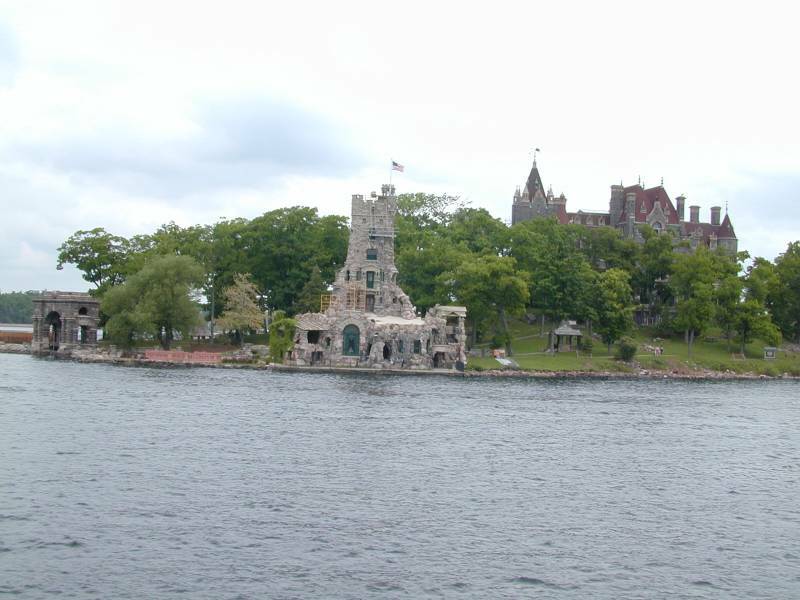 2001/5/28 - The Boldt Castle Power House and Clock Tower on the eastern end of Heart Island as seen from the Uncle Sam Boat Tour on the St. Lawrence River. 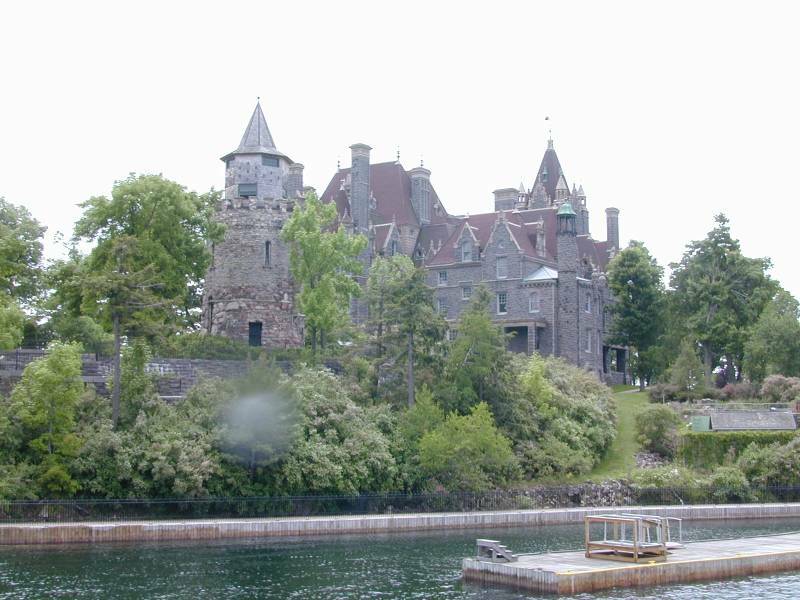 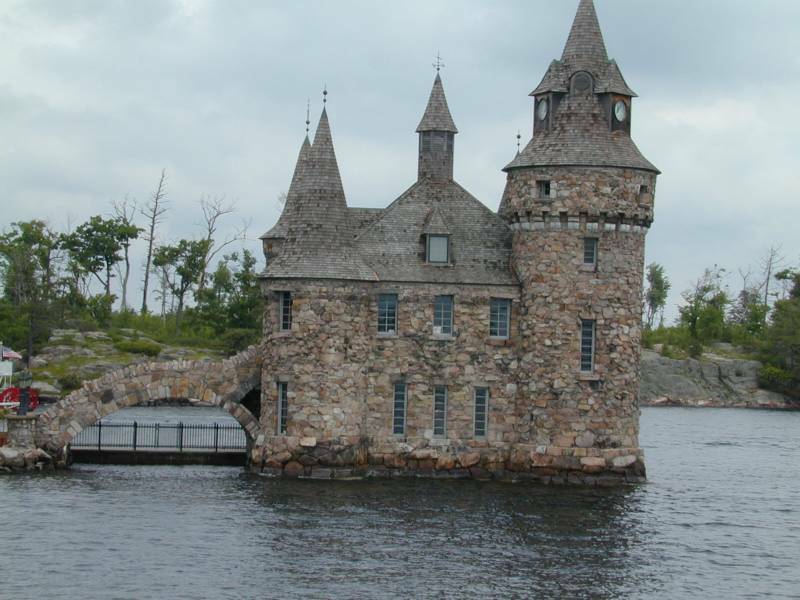 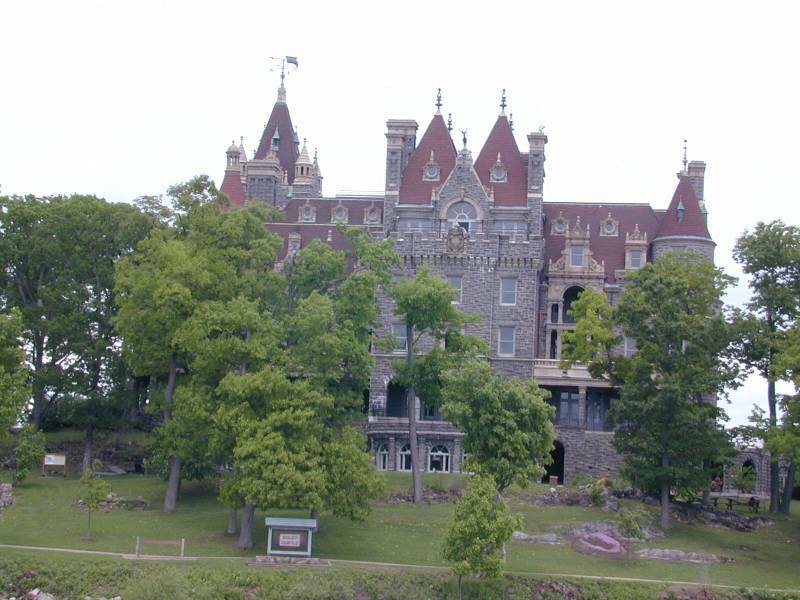 2001/5/28 - Boldt Castle on Heart Island as seen from the Uncle Sam Boat Tour on the St. Lawrence River. 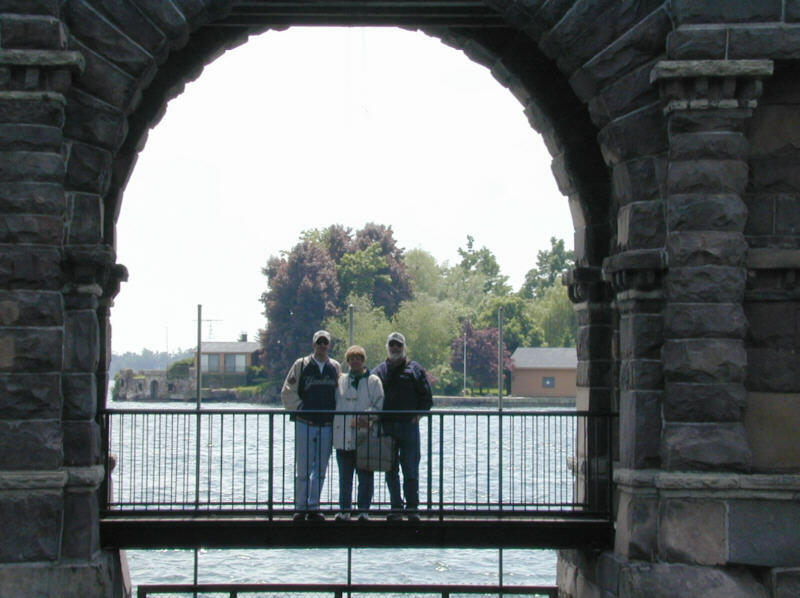 2001/5/28 - Joe, Mom, & Dad standing under the stone arch, intended to be the grand entrance to Heart Island and Boldt Castle on the St. Lawrence River. 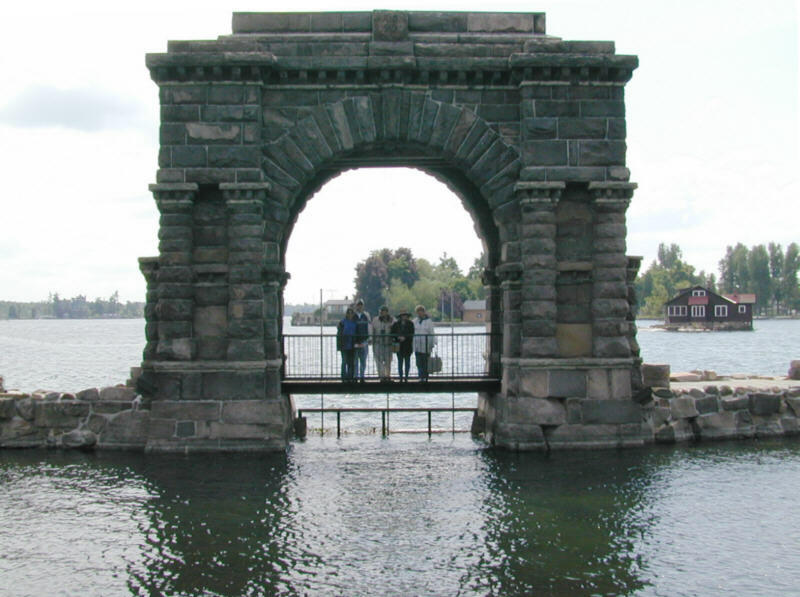 2001/5/28 - Jen, Joe, Al, Joan, & Mom standing under the stone arch, intended to be the grand entrance to Heart Island and Boldt Castle on the St. Lawrence River. 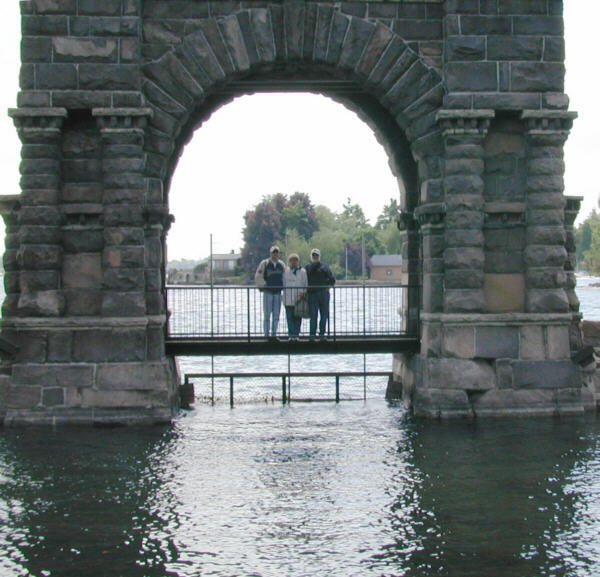 2001/5/28 - Jen, Joe, Al, Joan, & Mom, standing under the stone arch, intended to be the grand entrance to Heart Island and Boldt Castle on the St. Lawrence River.